A Maudlin Moment about Moribund Marquees and Missing Metropolis « Midlife Crisis Crossover! Once upon a time, there was a community gathering place where citizens and neighbors shared adventure, laughter, heartbreak, tension, jingoism, victory, sorrow, dreams, and amazement in a cozy, rarefied atmosphere bereft of stereo sound, digital imagery, comfortable upholstery, or ads teaching you baseline smartphone manners. Many a childhood memory was born there, many a relationship begun there, many a care in the world set aside for two hours inside a temporary escape hatch offering inspiration or respite. Something something something, and then it closed forever and now it’s an eyesore, and did you hear about the acrimonious lawsuits raging behind closed doors as we speak, but hey, at least we have a Redbox kiosk on every other corner. And they all lived in isolation ever after. The name of the town changes like a Mad Libs answer. Sometimes the part about the lawsuits is redacted because no one cares enough to sue anyone else over its demise. But the rest of the story is frequently the same. There’s something about closed small-town movie theaters that intrigues and perplexes me at the same time. I never paid them much attention till they began popping up in our road trips over the past few years. The opening photo was taken in Anderson, Indiana, on an early weekday morning while their downtown was mostly deserted. Though we saw indicators of life and spots where a few businesses thrived, it was tough to gauge the town’s true pulse. 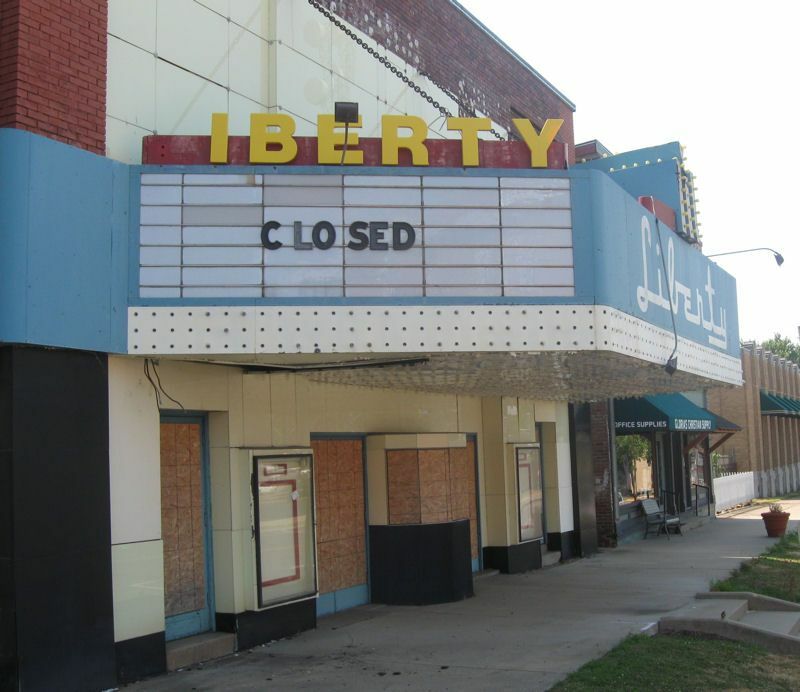 On our road trip last year we stopped along the way in Vandalia, the former capital of Illinois, and noticed their 1839 demotion had certainly had no positive rippling effect on the state of their moviegoing business. When I was growing up, one- or two-screen cinemas weren’t a quaint oddity. 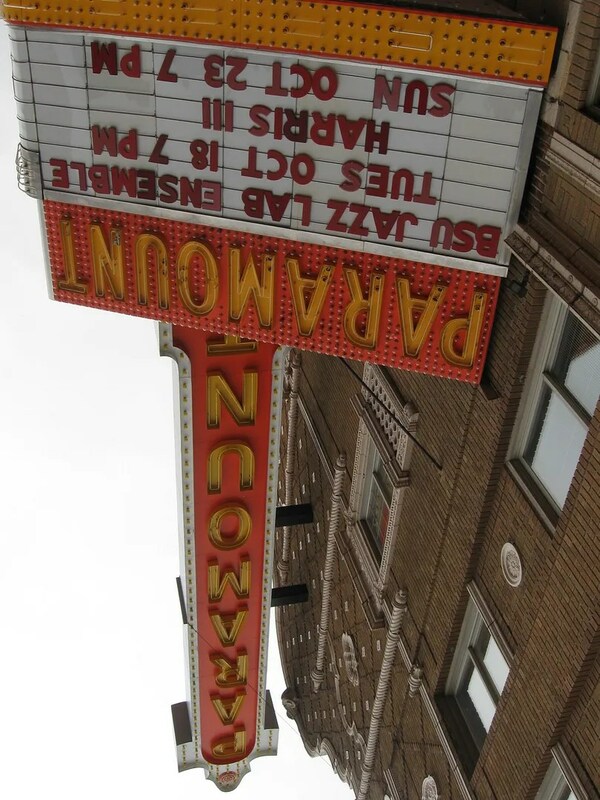 The closest theater to my childhood home was a two-screener in nearby Speedway whose floors were permanently sticky and whose restrooms were up a winding staircase in a scary, shadowy corner. On Indy’s south side, Key Cinemas dedicated its two screens to the oddest, rarest, most obscure indie/art films that could be scrounged up. 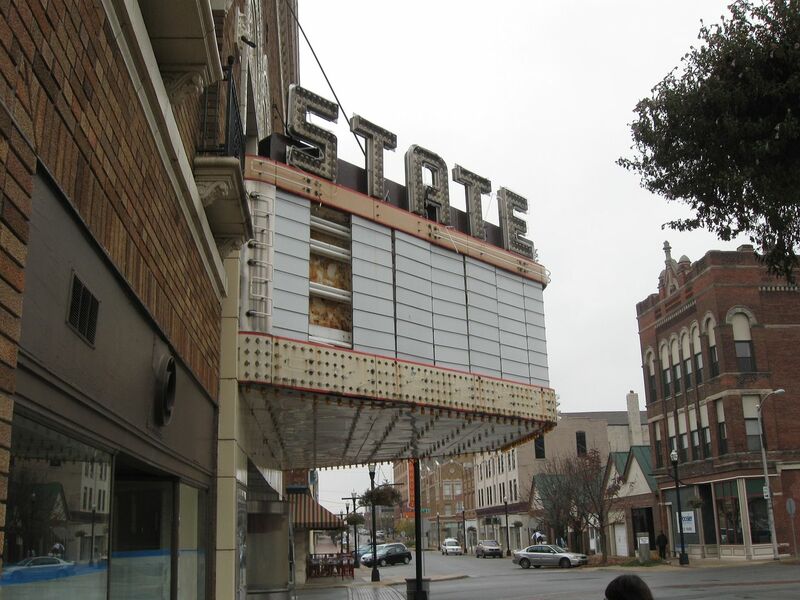 The first time I saw an R-rated film (Blade Runner) was in a small-town theater wedged into the corner of a southern Indiana town square. All of those are now history, no doubt chronicled elsewhere online. Also encountered last year: the locally beloved Massac Theatre in Metropolis, Illinois, home of the world-famous Superman Celebration. 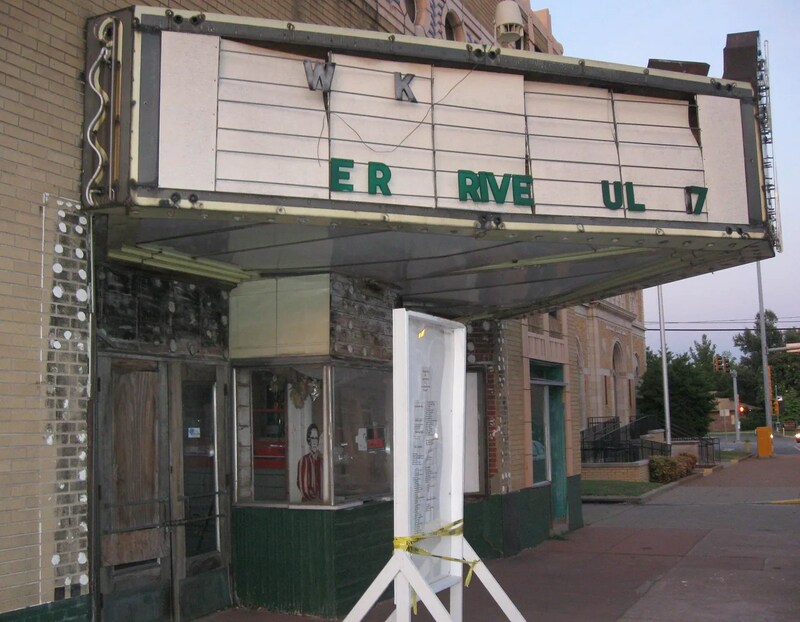 When we attended the 2012 Celebration, a fundraising committee was attempting to drum up support and donations to renovate and reopen the place, hopefully in time for this year’s premiere of Man of Steel, which would’ve been the greatest bit of Superman Celebration timing if they pulled it off. My wife and I regret that we’ll be unable to attend this year’s Superman Celebration due to a non-negotiable schedule conflict (more about that this weekend), especially since this year’s guest list has a few names we haven’t met before — Margot Kidder! Tracy Scoggins! Comics artists Ron Frenz, Brett Breeding, Chris Sprouse, and the always impeccably dressed Art Baltazar! Also appearing: Smallville’s Michael Rosenbaum, whom we technically met there in 2006. Dear Internet: please take tons of pics for our vicarious enjoyment, won’t you? In reflecting on what we’ll be missing, I decided to check on the status of the Save the Massac campaign, in hopes of good news to applaud from afar. Technically, what I saw on their official site was good news in the sense that the townspeople haven’t given up, demolished it, or converted the space into Earth’s two millionth Subway franchise. The campaign is still going, still in need. On the optimistic side, their fundraising activities will persevere during and after the Celebration, and — according to a teaser on their site — plans are afoot to invoke the power of the great and powerful Kickstarter. That’s another Anderson theater, shot the same day and down the street from the State. In place since 1929, it’s now a well-to-do hot spot for live performances rather than the silver-screen works it originally hosted, but it’s a great example of a venue that was on its last legs until enough individuals pooled the means and resources to give it the love, attention, and extensive reconstruction it needed to live again. Judging by the lengthy coming-soon list on their site, Anderson successfully rewrote the ending of that story. The next time we’re in Metropolis, I hope to see the Massac do the same.